**No refunds – you are purchasing a digital copy of a product Disclaimer: I, the owner and creator of this product, am not associated with the WRobot company. PURCHASE LINK – $4.00 – Single IP License (1) PURCHASE LINK – $7.00 – Three IP License (3) PURCHASE LINK – $9.00 – Five IP License (5) PURCHASE LINK – $11.00 – Ten IP License (10) WPLUGINS DISCORD SUPPORT About: WTrainer is a Vanilla WRobot plugin that automatically travels to the nearest class trainer on level up (will take taxi), automatically trains talents, and overrides WRobot's native taxi (flight) system. Features: – Trainer (spells) – automatically travels to nearest class trainer on level up (will take taxi) Users can define training frequency, e.g., every 2 levels, 4 levels, etc. Users can blacklist levels, i.e., do not visit trainer at level 10, 14, 22, etc. 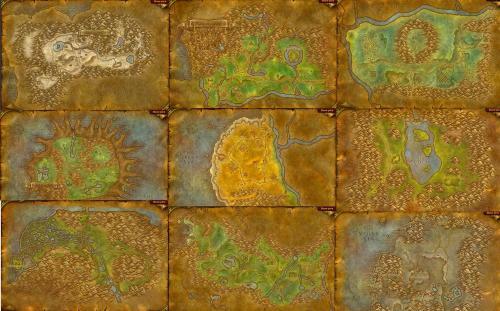 Users can define the trainer cities they wish to visit, e.g., Orgrimmar, Camp Mojache, Grom'gol, Thunder Bluff, etc. Plugin will only travel to trainers on characters' current continent Low-level characters will only travel to trainers in starting zones – Talents – automatically assigns talents based on builds copied from https://legacy-wow.com/vanilla-talents/ – Flights (taxi) – overrides WRobot's native taxi system Takes flight paths when destination is > 1000 yards away (default) Discovers previously undiscovered flight paths when within 50 yards (default) of new flight master Automatically updates available flight paths of a character whenever the taxi map is opened Users can enable and customize the ability to avoid flight paths located in high-level zones – Vendors (buy, sell, repair) – overrides WRobot's native buy, sell and repair system Calculates nearest vendor for repairing, selling and buying of food, drinks and ammunition; eliminates need for profile-specific NPCs Currently supports 754 NPCs across both continents Completes all vending (buy, sell, repair and training) in a single trip: Plugin will not sell, return to grinding, run out of food, buy food, return to grinding, run out of drink, buy drink, return to grinding, etc. Plugin will fully replenish all necessary items and perform all selling, repairing and training while in town If the bot visits a lone NPC at a far corner of the map who only offers repairs, the plugin will not make a long distance trip across the zone to town, but will replenish all necessary items and perform other vending during its next visit to town. Blacklisting options: Automatically avoids vendors located in high-level zones Allows for blacklisting of individual NPCs by ID – see https://classicdb.ch/ Allows for blacklisting of entire zones by ID – https://classicdb.ch/ Food, drink and ammunition: Automatically purchases food, drink and ammunition appropriate to character level Automatically equips ammunition upgrades, i.e., moving from "Rough Arrow" to "Sharp Arrow" Automatically destroys low-level ammo Automatically sells low-level food and drinks Quiver & ammo pouches: Automatically detects quiver position, size and current inventory If quiver detected, will always fill quiver during vending If no quiver detected, will use ammo count defined in plugin settings Hearthstone – provides option to use hearthstone prior to vending How it works: a. Trainer (spells): The plugin continuously monitors for level ups; once a level up has been identified, the plugin interrupts the bot's current movements and begins travelling to the nearest class trainer to learn new spells – if the bot is stopped (not paused) during its travel to trainer, the travel to trainer phase is cancelled and will not be triggered again until the next applicable level up occurs. The plugin uses an internal database to identify the nearest class trainer; the plugin will fly to the nearest class trainer if necessary. 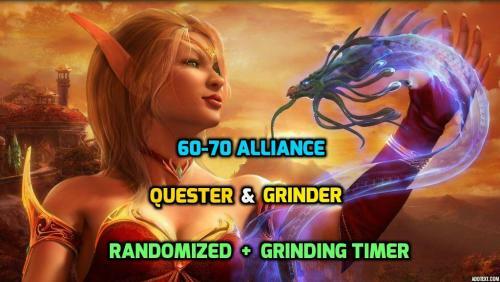 The plugin will only travel to trainer locations that are set to true within the plugin's settings: 05 – Alliance Trainers & 06 – Horde Trainers b. Talents: The plugin continuously monitors for available talent points; once available talent points are identified, the plugin will assign talents based on the Talent strings plugin setting. Talent strings are generated by visiting https://legacy-wow.com/vanilla-talents/ and creating a build; once a build has been created, the below portion of the site's URL is copied and pasted into the Talent strings plugin setting: https://legacy-wow.com/vanilla-talents/druid-talents/?tal=50005003025000000500520300010000505000050000000 The plugin will always learn the left talent tree first, and will assign talent points from left to right – multiple talent strings may be used to better control the order in which talents are assigned. c. Flights: During movement, the plugin calculates the travel distance between the character's position and his/her destination; if the travel path is > 1000 yards (default), the plugin searches its internal flight master database for a shorter path – if a shorter path utilizing flight masters is found, then plugin will take said flight. Flight paths should only be set to true within the plugin's settings if they are available to a character; if a flight path is set to true, but it is not known, the plugin will still attempt to fly. d. Vendors: Completely overrides WRobot's native buy, sell and repair systems; once the plugin's vending settings are enabled, an internal database containing 754 NPCs is referenced, causing the bot to ignore any WRobot or profile-specific vendors that may be configured. Once the need to buy, sell or repair is detected, the plugin will locate the nearest vendor and send the bot to this NPC to perform any necessary vending functions. Further details of this feature's functionality are located above in the product's description.